For those who are going to General Conference in Tampa, Florida next week, I am offering to you a very good book to pick up at the Pentecostal Publishing House. 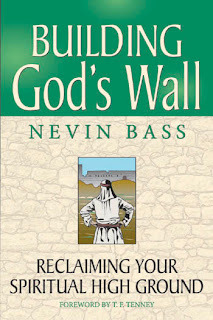 Building God’s Wall by Nevin Bass is an excellent book. More importantly it has the capacity to become a mid-week Bible study series or even a Sunday School series. Pastor Bass works through the book of Nehemiah in an expository fashion and draws many insights from Scripture that are very helpful. This book covers many of the facets of the Christian life from prayer, unity, overcoming opposition, preparing for revival, and even extends to giving. In this book, one of the highlights was what Pastor Bass refers to as the ten gates of worship. With each of the ten gates (i.e. Sheep gate, Fish gate), there is a corresponding process (i.e. 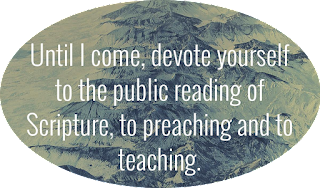 Sacrifice, Discipleship, etc.) that a pastor or Bible teacher could put down some stakes and camp out on for several weeks. When the process of rebuilding occurs, opposition will always be a factor. One chapter is focused on the principle of “Overcoming Resistance.” Here is a quote from Chapter 4 concerning the matter of resistance: When Satan is unable to stop the rebuilding effort, he often tries to plant seeds of rebellion inside the newly constructed walls. Pastor Bass also identifies three voices that attempt to stop the work: (1) Discouragement; (2) Fear; and (3) Helplessness. In another chapter on “Preparing for Revival,” Pastor Bass pulls together the role of the Porters, Singers, and Levites who are all working toward having a revival within the walls. He also revisits again the principles that comprise the action of keeping the gates. Again, my main purpose in encouraging pastors and teachers to get a copy of this book is to let it become a seed for you to teach a series of lessons from the book of Nehemiah that will benefit the Church. You can read a sample chapter here.